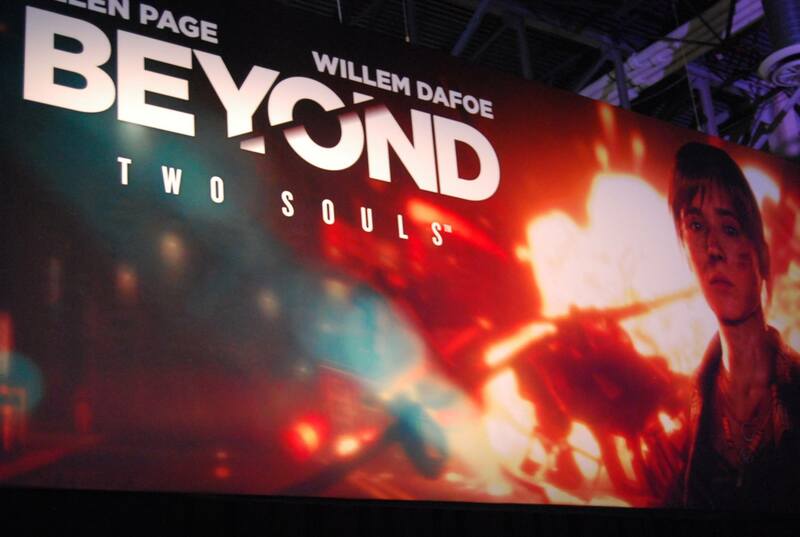 While Sony’s presence at the GameStop Expo was mainly to tout the upcoming launch of the PlayStation 4, there was nothing at the booth more exciting than their Beyond: Two Souls theater. 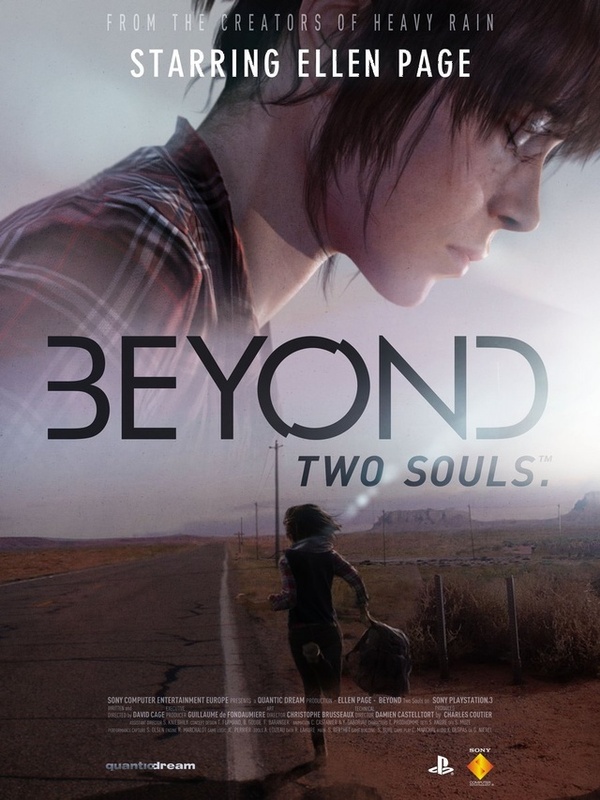 Beyond: Two Souls is the latest work coming out of Quantic Dream and director David Cage, known mainly for their work on Heavy Rain — perhaps one of the best examples of effective storytelling (though not a great example of prime gameplay) in gaming. The game stars Hollywood actress Ellen Page (Juno, Inception) as Jodie Holmes, somebody who unfortunately lives with an entity, named Aiden, that does things she cannot control. The game’s story follows her life through 15 years, so players get to see Ellen Page as a child, as a teenager, and as an adult. The Beyond Theater featured in Sony’s booth at the GameStop Expo this year showed the clip featured at the Tribeca Film Festival, and it was pretty intense. The first scene shown featured a woman, not Jodie Holmes, in the middle of childbirth with what looked like a close-knit group of people just standing there watching, wondering what to do. In usual pregnant fury, the woman in labor specifically yells at everybody to leave except for Jodie, who obviously wasn’t professionally trained to deliver a baby. Without going too much into the details, it happened, and we even see Jodie cut off the umbilical cord. Then in the next scene, which appears to have happened later on that same evening, Jodie wakes up to see that the building she’s sleeping in has caught on fire, and not only is she stuck, but the mother and her child whom we saw her help earlier are also caught in the building. Looking for a place to escape, Jodie realizes they’re trapped, but out of nowhere an exit is created by an ounce of luck, and the mother and her baby are able to escape freely. Unfortunately for Jodie, she isn’t so lucky, but after mindlessly running in a panic, she jumps out of a window and she becomes surrounded by a force field that protects her from being harmed by the fall. Upon the group of people watching the fire from outside, random people attack Jodie, and it’s assumed that she’s left for dead with everybody surrounding her weeping in panic. The clip ended there but then showed a quick montage of various stages in Jodie’s life. From her struggles dealing with the entity as a toddler, to her formidable years as a high school punk, to an eventual young woman that appeared ready for her prom–this made people wonder just how deep the game got, and it was there that we learned that the game will have 20+ different endings. A year ago, Cage expressed that he would like people to play the game once and only once so that they can have their unique experience, but this is the real world. People are going to spend $60 and some change for the game, and if it’s really going to be 10+ hours and feature that many endings, you bet people are going to get as much value as they can. With popcorn and a custom signed cover for the game in hand, we made our way out of the theatre to be met with a lengthy demo of the game, which we’ll talk about in a bit. 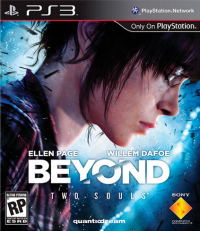 Beyond: Two Souls comes on out on October 8, and we’ll have another preview coming up soon before the game’s release along with our review at that time. For more on Beyond and other games featured at the GameStop Expo, keep it on SmashPad.